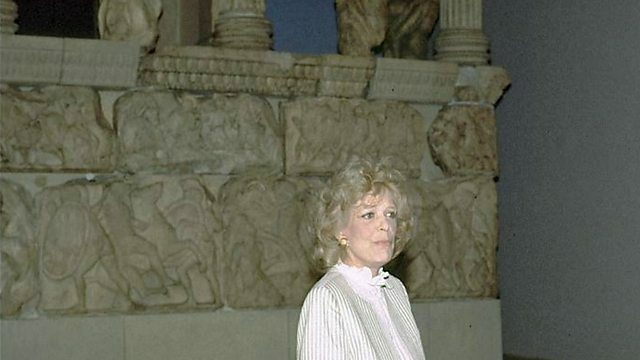 Melina Mercouri, famous actress turned politician, visited Britain in 1983 as Greek Minister of Culture and made the first official request for the return of the Elgin marbles. Melina Mercouri, famous actress turned politician, visited Britain in 1983 as Greek Minister of Culture and made the first official request for the return of the Parthenon marbles. The marbles were removed in 1801 by Lord Elgin, who was the British Ambassador to the Ottoman Empire at the time. Lord Elgin, who was based in Istanbul sent his agents to Athens to remove the marbles which he claimed were at risk of destruction. He later sold them to the British parliament who in turn entrusted them to the British Museum where they've been exhibited since 1832.